Big News: Indira Gandhi’s assassination in 1984. News is about happenings; good, bad, tragic or otherwise. There was an initial sense of shock, but the hallmark of news on Doordarshan (DD) was objectivity, and I’ve always maintained it. It was the same in the case of Mrs Gandhi’s assassination. It’s difficult to imagine how DD managed to telecast news, that too with such regularity. It established landmarks in the history of news journalism with the bare minimum facilities. To begin with, there were old, worn-out typewriters whose needles (keys) danced of their own free will, resulting in unreadable words at times. Sometimes, they would just print one letter and the rest had to be written out by hand. Apart from cameras, sound systems, vision mixers and telecines, one advanced technical addition was the teleprompter, which we would operate like a sewing machine. Imagine a newsreader looking sober and demure but under the table her legs are constantly moving to make the machine work. It sounds hilarious, doesn’t it? But it wasn’t. I still get goosebumps thinking about it. Trial, error and my instincts were my guides. There was no room for emoting or personalising the news. Events — big or small — received the same attention and were dealt with professionally. But when one is an integral part of a process, the events do linger on in one’s mind. Even now, I can recall them vividly. When I look back, I realise that my focus had been to give one hundred per cent and deliver the news in the best possible manner. Every day was a new day, and each news item, a new challenge. Each telecast taught me something different. We were our own fashion consultants back then. Black-and-white TV offered us the facility to wear whichever colours we wanted to, but the onset of colour TV shattered it. A new sari a day I could manage, but matching blouses? No way. It was a pretty tall order. So, the idea of draping a sari over both shoulders came to my rescue and believe me…it works even now. The day when I plucked a red rose from my garden, I hadn’t the faintest idea that its story would become viral. Can you imagine that even now, the rose fever is unabated? Yes, it did give heartburn to some people helming affairs at that time, who issued memos and warnings but…let’s leave it at that. The important thing is that the rose lives on in the memory of viewers, and I feel grateful and humbled. Big News: Operation Blue Star in 1984. It was a crucial moment for the country when Indira Gandhi was assassinated in ’84. At the network, we weren’t allowed to say anything about her death until that evening, and it was at 6 p.m. that I finally made the announcement, in English. While driving home, I could see a lot of vehicles burning on the streets and felt anxious. I saw a Sikh gentleman in the streets and warned him loudly about the vandalism. Many years later, when I had moved on to Air India, I went to my husband’s dispatch office (he was a senior commander) and there was a Sikh man who wanted to thank me. He then reminded me about this incident. Once when I was in Rajasthan, my guide was a man who had a dual master’s degree in arts. He didn’t recognise me and neither did I expect him to. We went to a dhaba. There was a little boy carrying cups of tea, and he came running and said, “News, news!” DD’s reach at the time was quite amazing. When you’re working in radio, you’re aware that there are listeners, but nobody’s watching you. It’s different when you’re on TV and you’re being watched every moment, criticised for what you’re wearing, your make-up, how you speak, your diction, the news content, etc. It was definitely a total change. Radio was my introduction to broadcasting and a good learning experience, but TV was a little chaotic, because the teams there weren’t as organised. Then colour TV arrived and one had to be more careful. We tried many different formats like multiple newsreaders, formal and informal tones, speaking to each other on screen, etc. I wouldn’t say that there were any struggles; when one’s in the news, one’s in it, whatever it’s about. An Indian Air Force plane crashed and some very close friends of ours died. Regardless, I had to read the news — and I just had to do it with a straight face. It was very sad, but the show had to go on. Newscasting for me was almost like meditation; for anybody who’s totally involved in the job and is sitting at the desk reading the news, they can’t think of anything else. Everything goes out of their minds except what’s in front of them and has to be presented. Since I had worked for the UNI, the news editors at DD were happy to let me edit their stories. I don’t think many newsreaders had that liberty. 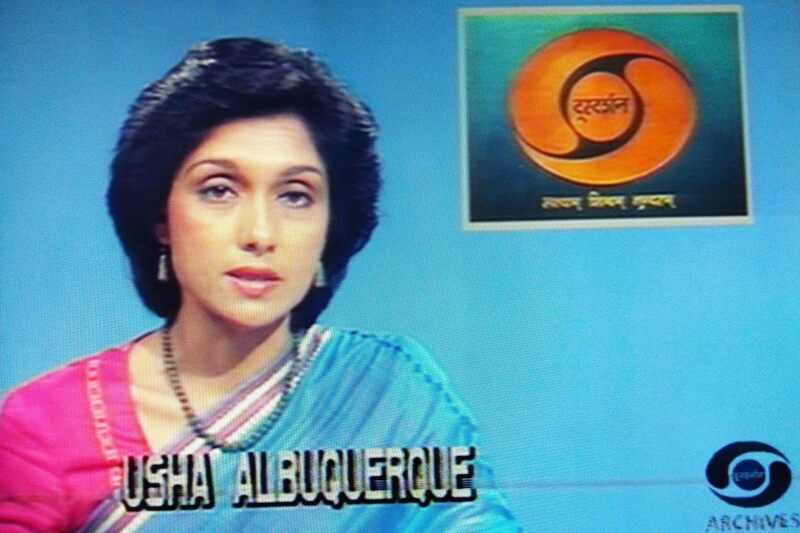 We laid the foundation of television news broadcasting in India, but that foundation has radically changed. Now, news is something that has to be dramatic, that’s happening every minute of the day and must be shoved down the viewers’ throats, which isn’t actually true. When they’re going minute by minute into stories that are about violent happenings, such as attacks and killings, broadcasters have to be very careful. They’re influencing the entire country and might be creating feelings of animosity and violence in people who didn’t really have any until then. I’ve heard from people who feel that their blood pressure rises when they’re being shouted at. With everybody shouting together…what does one glean from it? Big News: Mother Teresa’s death in 1997. It was almost a cathartic experience for me because I admired Mother Teresa immensely for her work. It happened hardly a week after Princess Diana passed away, so I felt that the same frenzy that was around her death just wasn’t there for Mother Teresa’s, but I was still very glad that DD did a fantastic programme. We brought along a fair amount of credibility to the news. Even today, people tell me that they found DD News to have had integrity in the way it presented the news. 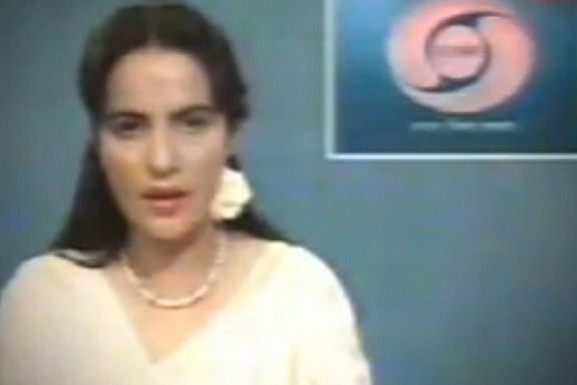 It also gave anchors a sense of presentation and style, and to tell you the truth, none of us had received any training for news presentation. We had to develop it on our own. I think that the sense of style and seriousness that DD brought to TV is something that is not continued by many channels anymore. I didn’t realise our reach until I began to be recognised, and I needed to adjust to it. I was able to see that many more Indians were watching the news when people would tell me that they liked my sari and jewellery. I was taken aback because I didn’t even think anyone would notice. As a journalist I was also writing features for various publications, and I realised that because I have access to DD and a network within the TV world, I could try my hand at film production. Having access and knowing people made it easier to start my film production company. It opened doors because people immediately recognised me. The bane was that we were the mouthpieces of the government and had to read out whatever was given to us. There was no way in which we could edit it at all. There was a sense sometimes that this was not quite what we should be saying, but that was the duty. The boon was that we reached out to such a large audience. In those days, DD was one of the very few channels around. People just kept it on the whole day and watched whatever was airing. As a result, I think we had huge scope for reaching out to and educating people. 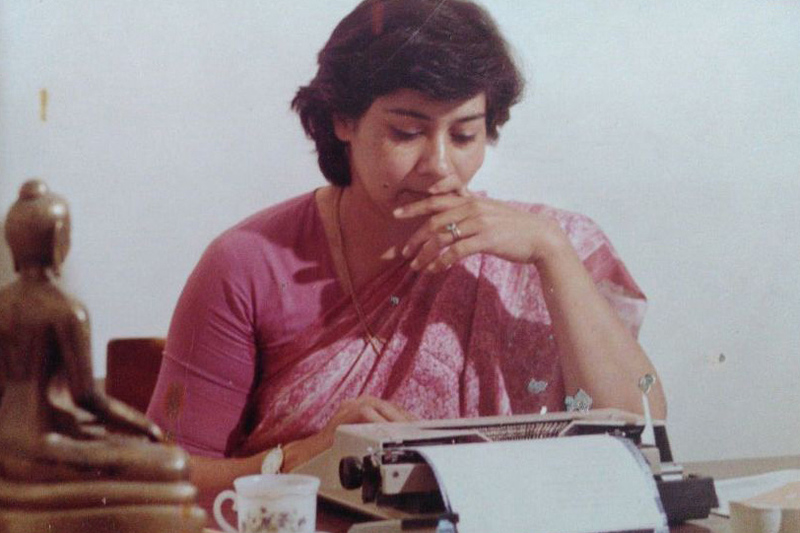 Apart from Cable TV and Newstrack — a weekly news bulletin started by Madhu Trehan and Aroon Purie in the ’90s — coming in as competitors, there wasn’t much else. We made a fair amount of presentation changes ourselves. Very often, however, we wanted to make changes in the format and editing of news, but that never happened in my time because the government was not sure about letting us get involved in that way. It’s something that I feel sorry about, because by that time we had acquired a good sense of the trade and would have been happy to sit with editors and discuss what should go on air and how to present it more interestingly. That’s a major change now — presenters are not just presenters. They’re very involved in putting the programme together, which I think is really the way that it should be and something that I would have liked to have done, because I was very much a part of the news.